One of the major observatories of the former Soviet Union grew up in the favorable Armenian climate, in the village of Byurakan (situated north of the capital, Yerevan, on the slopes of enormous Mount Aragats). The largest instrument is the 2.6-meter telescope (not to be at all confused with 2.6-m Shajn telescope in the Crimea of the the 3-m Shane telescope half a word away in California). The external access staircase enhances the unioque architectural style of its dome. The best-known telescope at Byurakan is probably the 1-meter Schmidt telescope used for the objective-prism survey begun by B.M. Markarian. The first survey yielded 1500 objects, an especially rich source of Seyfert galaxies and starburst systems, selected for their relatively strong near-ultraviolet flux. The second survey, continued after Markarian's death, has used a higher dispersion to select emission-line objects at fainter levels, revealing some especially interesting low-metallicity galaxies and high-redshift QSOs. 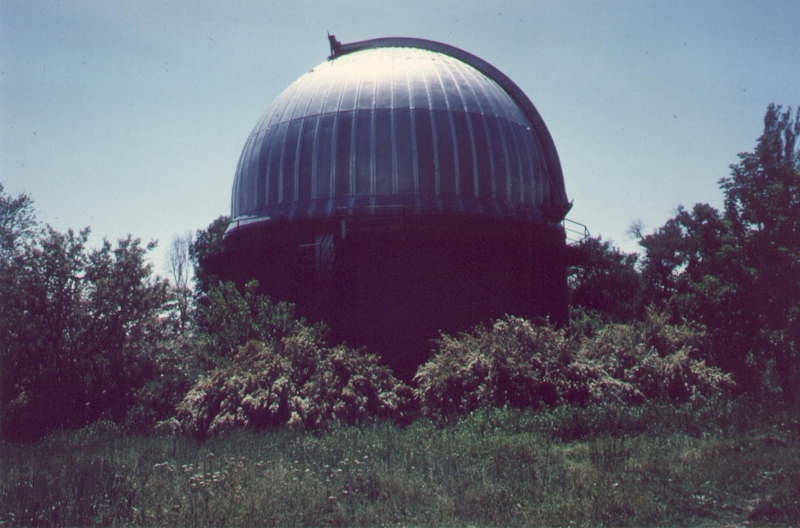 After the breakup of the USSR, the observatory has struggled with funding and power problems. The observatory has recently begun offering viewing programs for the tourist trade. Their publicity inexplicably refers to the "second largest telescope in Europe", but since it's south of both the Greater and Lesser Caucasus ranges, I really can only see Armenia as part of Asia. 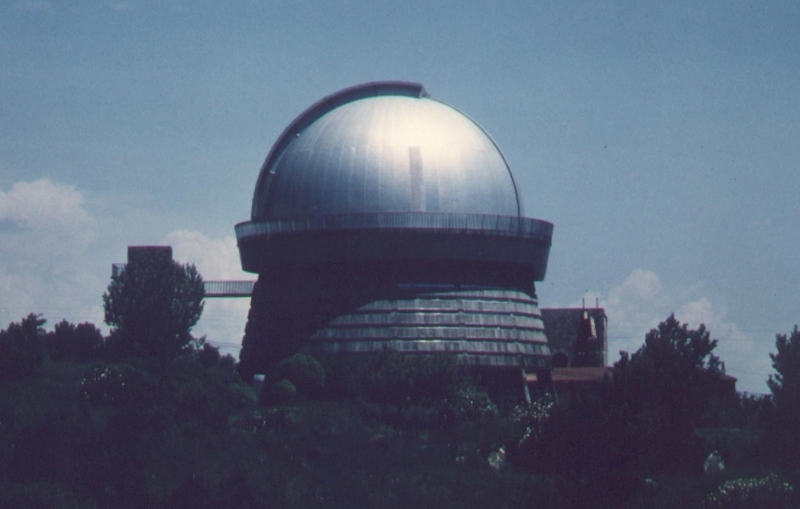 These pictures were taken during IAU Symposium 121 on activity in galaxies, held there in the summer of 1986.